We are a house proud nation and generally like to raise the standard of our homes. But getting our homes to look perfect, like the front cover of an interior homes magazine can take a little longer. Sometimes we may just need to spend an extra few minutes working on that extra sparkle, before friends and family arrive to join in with Christmas festivities. If you are anything like the blog team, we all have busy lives and struggle to find the time to entertain in our homes. However, having the extra space to entertain our guests adds to the overall comfort of using our homes. 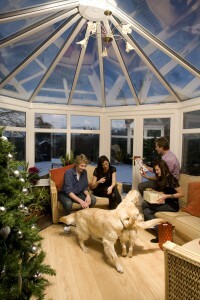 Conservatories are a great, versatile space to use at this time of year. They don’t always hold as much furniture as our main lounges, and offer the space to either sit or stand around and chat to friends. Does your party always seem to end up in the kitchen as the food and drink is located there? With a little thought and planning why not make space available for the drinks, nibbles and your guests to stand together in the conservatory rather than spread out through a number of rooms in your home? Once the date has been set, you have sent out the invitations, decided on the home made food and seasonal drinks you’ll be serving, leave the rest to the day. On the day, start by rearranging or removing surplus furniture from the room. Allow plenty of space for seating and a table for food and drinks to stand. 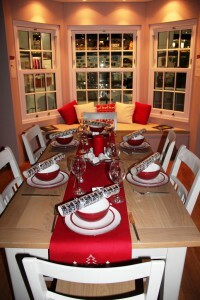 Decorate the room and table with festive items. Add Christmas cheer to the room with candles and twinkly lights. 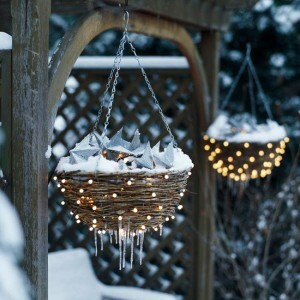 If you don’t like too many things inside on the surfaces or are restricted for space, add lights in the garden, which also add to the magical feel of the evening at this time of the year. If you are trying to save money, why not get crafty and use natural and traditional items from the garden to make door hangings and decorations, using pine cones, sprigs and sprays of holly and ivy foliage and other plants from the hedgerows and your garden. 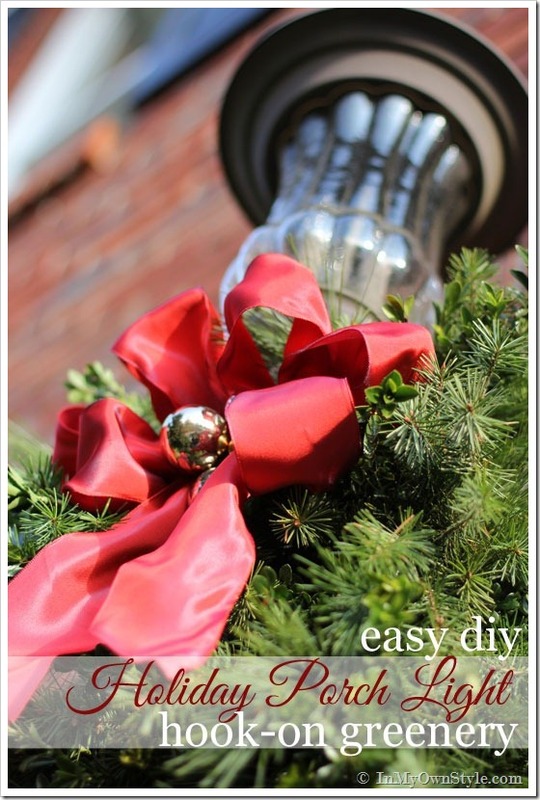 This lovely decoration for the front door porch light is very festive and easy to put together. Holly and ivy have been used since at least the fifteenth century and appear in Pagan history as a sign of fertility, the holly bush being the male and the ivy representing the female. Other plants that are also associated with this time of year are Mistletoe, Laurel, Rosemary, Fir and Yew trees. They are still used today following traditions and beliefs from years long ago. 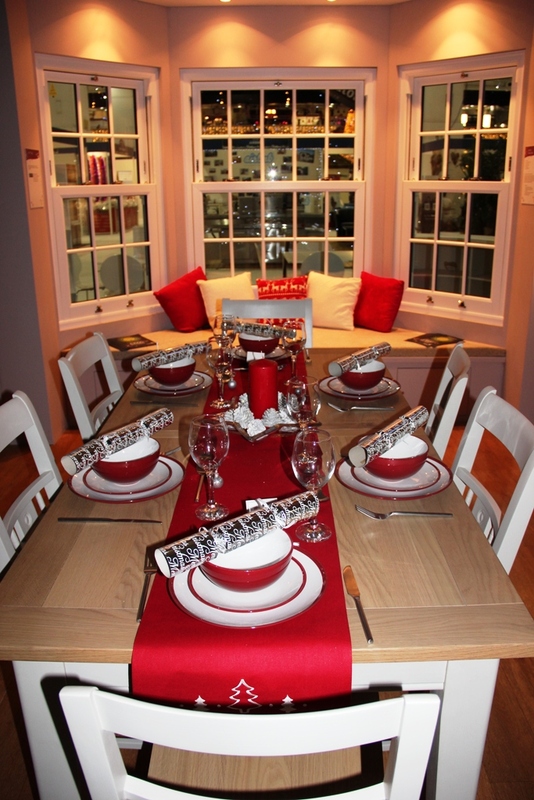 Whatever celebrations you decide to have in your home, we hope that you have fun getting it ready for your guests. Who will you be catching under the mistletoe this year?